Card Review: 8.7 Score did a pretty good job with this card. 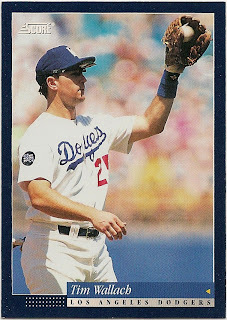 It's over glossed, giving it a cheap generic feel, but photo is interesting, there's a nice write-up on the back along with full career stats. 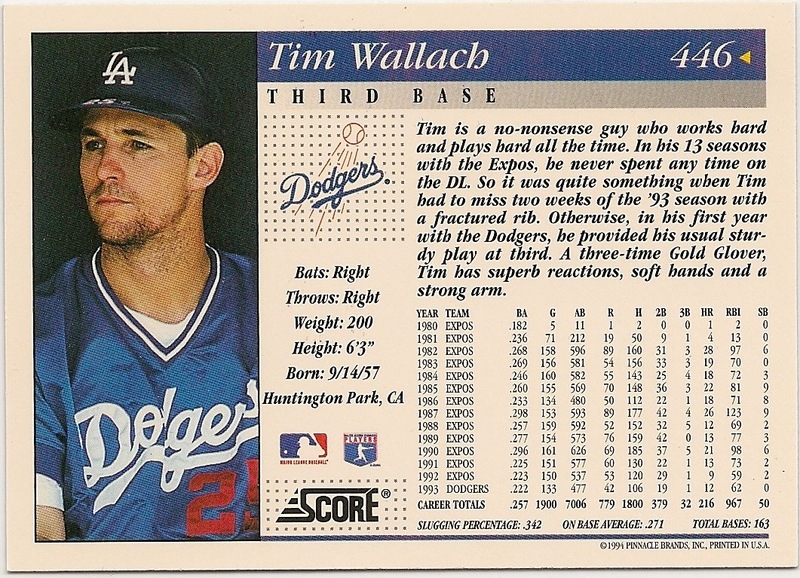 If nothing else, Score was still staying true to themselves in 1994 while other card companies were throwing tradition and idenity into the dumpster in the name of the premium card. So credit to Score for staying true to Score, even if they did go way over the top with inserts. Because I'm okay with that. 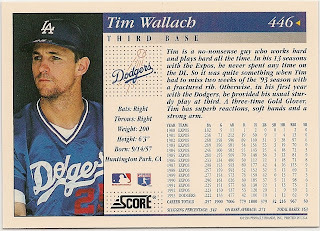 I would have no problem with all the asinine inserts of today featuring shiny gimmicks, desecrated jerseys, and impresonal autographs, if the Topps base set still felt like the "Topps Base Set" from aprox 1957-91.